Incorrect belt tension (as well as pulley misalignment) adversely affects belt drive reliability and efficiency. After the pulleys have been aligned, it is very important to tension the belts to manufacturer’s recommendations. Pulley Pro® enables all three alignment conditions to be monitored simultaneously. The accuracy of the alignment is greatly increased and the process can be completed quickly and easily. Using a spring scale, press down on the belt in the approximate center of the span, and deflect the belt to the desired level. When the desired deflection distance has been reached, note the force registered on the spring scale. Adjust belt tension until the force required to achieve the desired deflection distance is within the belt manufacturer’s recommended force values for the type of belts being used. New belts generally require higher tension levels than used belts because they have not been run in. It is possible for belt tension adjustments to alter pulley alignment, and for pulley alignment adjustments to alter belt tension levels. 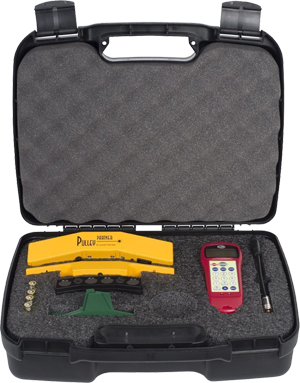 The Pulley Pro® alignment tool will help monitor the pulley alignment condition as belts are adjusted for the correct tension level. The Gates Sonic Tension Meter measures belt span tension easily and accurately. Belt tension is measured by plucking the belt span while holding a sensor close by. 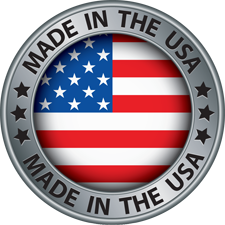 Belt tension is adjusted until the belt span frequency, or measured tension level is within manufacturer’s recommendations. The final step is to operate the belt drive system for a few hours, allowing the belts to stretch and seat properly in the pulley grooves. The belt tension level should then be checked to make sure it is within manufacturer’s recommendations for new belts. Now operate the belt drive for at least 72 hours. The belt tension level should be checked again to make sure it is within manufacturer’s recommendations for used belts. Before operating the machinery check to make sure all tools and equipment have been stowed securely, and all guards have been securely replaced. The Pulley Pro® alignment system is designed with durable aluminum housing designed to withhold harsh environments. However, as with any precision instrument, care should be taken to avoid unnecessary abuse. The lenses of the transmitter and reflector windows are coated with a high performance film. To clean, use a lint free cloth or swab using a premium glass cleaner solution. The outside aluminum housing may be cleaned with a clean damp cloth.